If you wear a lot of scarves for work or when you go out, you can quickly amass a large collection, and stashing them in a drawer can leave them wrinkled and also cause some to get buried, and subsequently not worn. 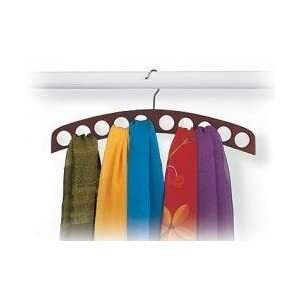 A good solution to display and organize your scarf collection is this hanger, which has 10 holes to thread your scarves through. Please note that the hanger is really designed for thinner, more decorative scarves, and not necessarily for heavy winter ones that would be harder to thread through the holes. 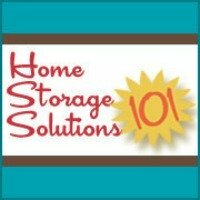 You can see even more jewelry organizers and storage product recommendations and ideas. Join in and write your own page! It's easy to do. How? Simply click here to return to jewelry organizers.